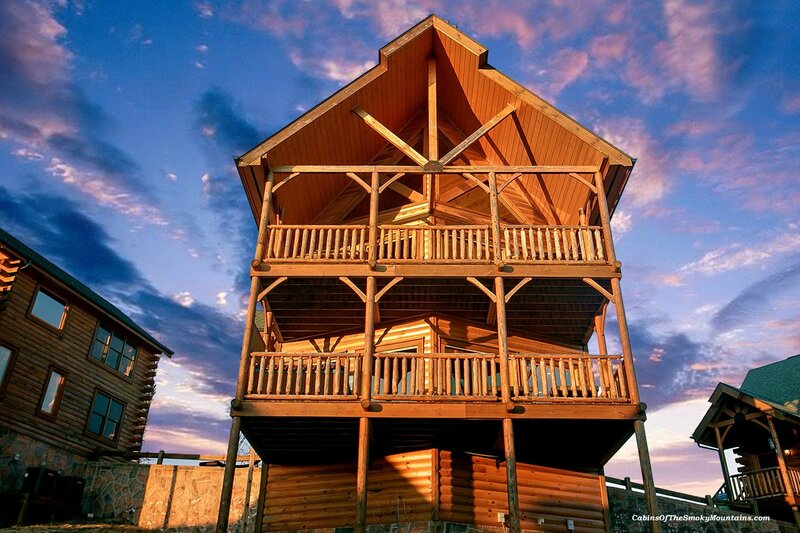 Here’s a great family 2-bedroom luxury rental cabin by Pigeon Forge, Tennessee. With over 2,000 square feet of vacation space nestled in the Smoky Mountains, “Eye On The Smokies” enjoys a spectacular view of Mt LeConte. 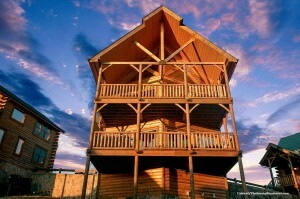 This cabin features a hot tub on the deck for the best outdoor sport of all, hanging out and nature-watching. Rocking chairs and a swing/glider – and a grill (of course) – complete the outdoor furnishings. 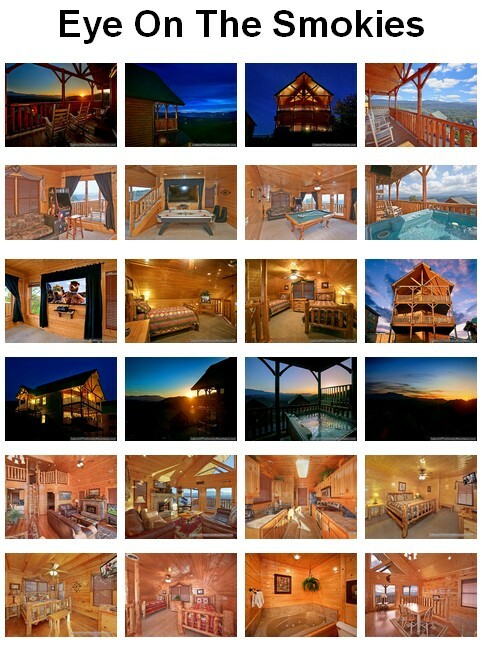 Inside the cabin are two king bedrooms and bathrooms, each with cable TV/DVD, and the master with jetted Jacuzzi tub. There are also two queen sleepers for additional guests, allowing the cabin to sleep 10 people comfortably. AND there’s a loft area in this spacious cabin, with two twin beds and a TV – there go the kids! And when they’re awake they can hit the outstanding game room for air hockey and electronic games, or take a turn from the grown-ups at the pool table. For an evening in, all the family can gather on the home theater sofas in front of the big screen. And outside just down the road, all the fun and entertainment of Pigeon Forge and Gatlinburg await, just a few minutes away. 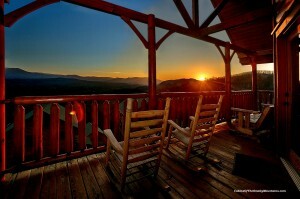 It’s the best of both worlds in Eye On The Smokies! 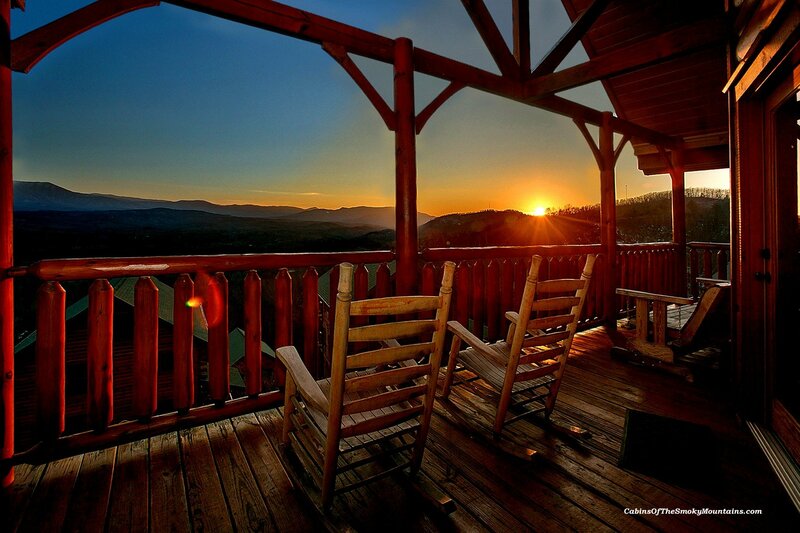 Click here to check availability and book Eye On The Smokies for your next trip!